Since 2008, I have been a “BzzAgent”. What is that, you say? I get to try products and services and share my opinion about them as a part of over 1 million other such agents worldwide! I have been able to participate in all sorts of product trials including Dr. Scholls Insoles, Garnier, John Freida, Covergirl, Publix & Kroger, Green Mountain Coffee, Scotts EZ Seed, Windex, Boston Market etc. The product I am currently trying and reviewing is Sensodyne Deep Clean. The catch? You have to write a report, share on Instagram, Facebook, Twitter, your Blog etc. It has been interesting to try new products, review them, and share the information with friends. The hard part is actually sitting down and writing the reports! Interested in knowing more? Let me know with a comment here, and I will respond! 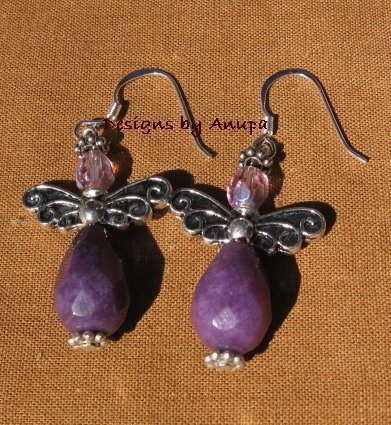 I made it to 250 likes on my facebook page and am giving away a pair of earrings. 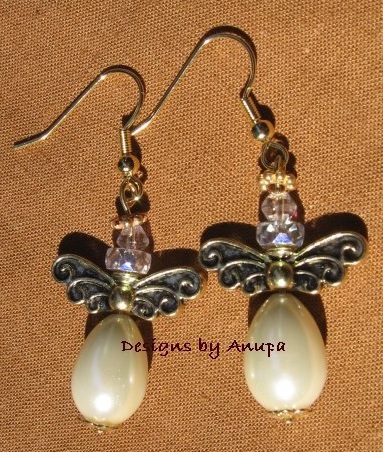 There are two types of earrings so you have a choice – a silk tassel and gemstone earring, or a semi precious and crystal angel earring. 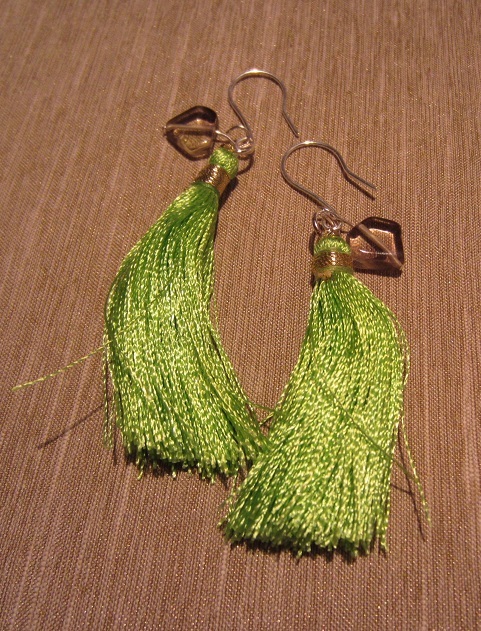 They come in multiple colors and you can choose the one you’d like to win. All you need to do is “like” the page and post a comment either on the fb page or a comment on the blog. The contest is open to anyone in the continental United States. The contest ends at noon EST, Sunday, 19th October. Tell your friends, feel free to post a link to the blog or the fb page and spread the word! Yesterday, we all went blueberry picking. Wonderful, blue-purple, ripe fresh berries that taste superb just warm off the bush. We ended up with 2 gallons of berries. So, of course, once we got back home, I had about 40 minutes of work to rinse, pick out leaves and stems and sort out the unripe ones. I ended up with a cupful of unripe ones (I am sure there were more, but I decided to let them stay with the sweet ones). The question was, what was to be done with these reddish, whitish berries that are too tart to pop into your mouth? I decided to Indianize them and made blueberry pickle (the first time I have ever tried to make this!). I heated about 30 mls of cooking oil in an iron wok, popped a 1/4 tsp of black mustard seeds, added the scant cup of berries with a pinch of turmeric and 1 tsp of sea salt. Stirred them on medium-low for about 9-10 minutes and once they started to stick to the bottom of the wok, I added a teaspoonful of red chilli powder (the super hot variety from the Indian grocers). Voila! Notes: Tastes quite nice though you can’t really tell it what the fruit is (that’s what comes of spicing them up!). Great for a sandwich. 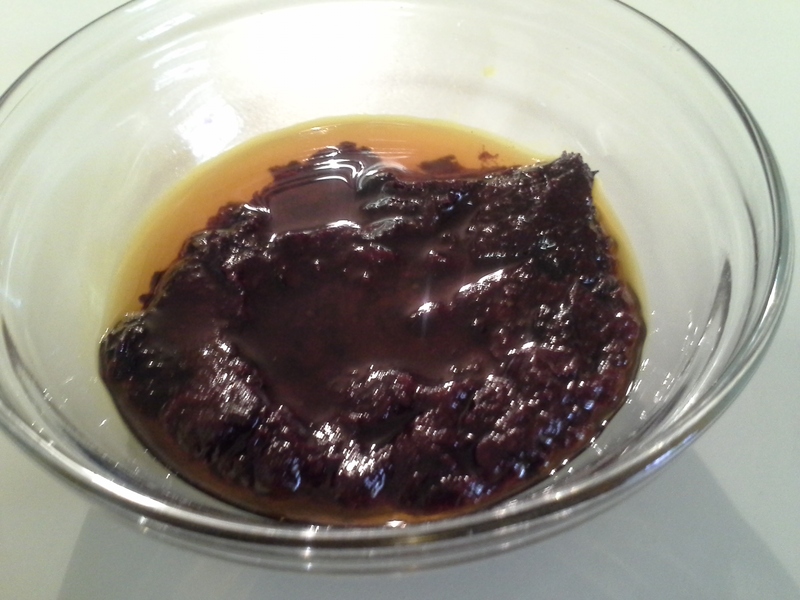 And, yes, there was too much oil, so the next time I will try it with 20 mls. 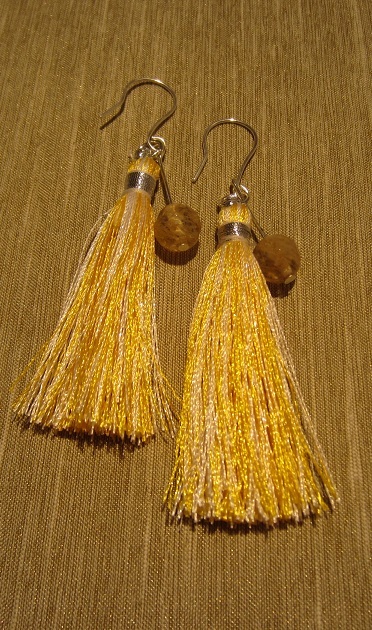 Thank you to all who followed my blog and commented on the Seed Giveaway Contest#2. The winner, who was randomly picked is — Clare M. Congratulations! Your packets of seeds will be on their way as soon I get an address to send it to! I have not been good about doing giveaways, but I hope to put something up once cooler weather hits! Plant Seeds Giveaway – just 2 days left! If you comment in addition, you get a second entry. Already follow? Just comment and let me know! Have you the urge to start seeds indoors but decided against it because you didn’t want to purchase seed starting kits? Despair not! You have plenty of material that you can use to start seeds in your own home. Egg cartons (plastic and recycled paper), those clear little plastic boxes berries come in, plastic bottles (smaller ones are better than larger ones for starting), old plastic Tupperware, styrofoam boxes, ice trays, toilet paper rolls (yes, you read that right! ), plastic baggies (if you have a way to contain them from falling over), small store-bought yogurt cups, small paper cups and pretty much anything you can punch a hole in all work well! Here is what I have this year. I was at a presentation that my city had for home gardeners on “Sustainable Vegetable Gardening” earlier this week and the speaker passed around this bottle that he had used to start his cucumber plants. I decided to try the idea myself. Take a clean bottle. Remove the label. Cut the top half with a knife, but only cut about 90% of the way around the bottle. The remaining 10% serves as hinge. Open at the hinge and fill with potting soil. Moisten and put in your seeds. Close at hinge and tape the cut portions completely shut with a clear tape. A perfect greenhouse that can be watered from the lid should it get dry. If you have put in too much water, blot out with a a towel or don’t tape the hinge back together until it is dried out. I like to use a heavy permanent marker to label the seed type and date of planting. This year, I have okra starting in my water bottles. I have a few egg cartons saved to pass on to my local chicken farmer. I decided to try the plastic ones this year as they can be closed to serve as a greenhouse. The recycled paper ones would work as well, but they will need to be kept open, have plastic wrap on them to serve as a greenhouse if you want them closed and need to be watered more often, so I decided against them this year. Much easier than using a plastic bottle as there is no cutting involved. Just scoop in some potting soil, moisten and pop in a few seeds. Cover to keep moist or keep open if too wet! 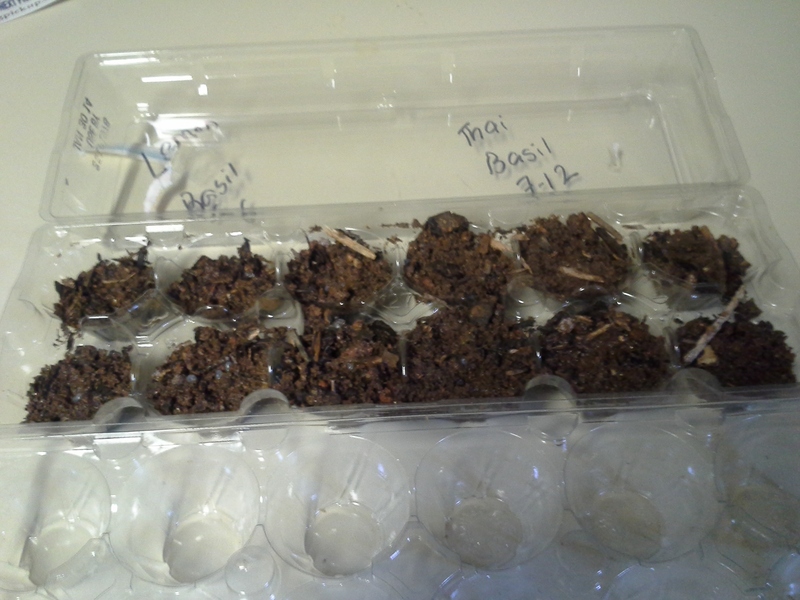 I think these would work for more delicate seeds, so I have 3 varieties of Basil starting in them. Just to try a larger seed, I also have some Armenian Cucumbers starting in them. The starters I have so far. I was looking around to find some interesting ways to start seeds and found this post on how exactly to use toilet roll tubes to start seeds. YouGrowGirl has a step-by-step method showing you how to use them. 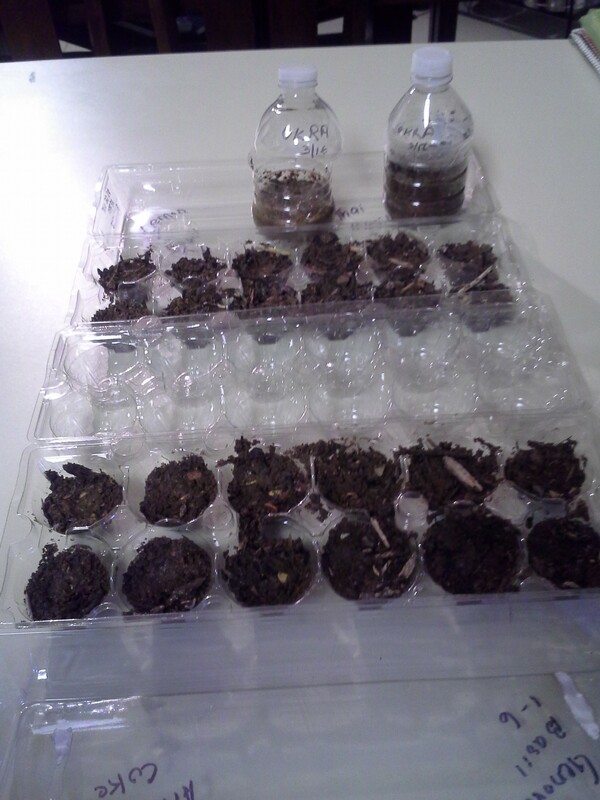 These work like jiffy pots in that you grow in them, and plant them, roll and all, directly into the soil. Biodegradable “pots” which also condition your soil as they break down as well as a way to reuse those toilet roll centers! Plastic tubs, berry plastic containers with lids, plastic cups etc. can all be used to start your seeds in. Poke a few drainage holes in the bottom if they are not a clear plastic, fill with some potting soil and put in your seeds. Put in some skewers or popsicle sticks and wrap clear plastic wrap over and above to provide a greenhouse and reduce watering. Of course, all of these require that your seeds are started under adequate light – a window suffices just nicely or a sunroom when it is above freezing but not yet warm enough to put out your seeds; have adequate moisture (Too wet? Fungus. Too dry? Won’t germinate.) and adequate food (if your soil is fresh and has organic matter, you should be okay for the 3-5 weeks you are going to keep your seedlings in the starters). Your seedlings are ready for a transplant when the roots have filled out, but have not completely taken over the container. I like to keep my open seedling containers in the outdoors a few days before I transplant them, just to “harden” them off and prevent transplant shock from the warm, cozy home to the tough outdoors! Happy Gardening…may your dreams of plentiful harvest come true! It is that time of the year again…spring is in the air for some, but visions of veggies and flowers dance in their heads for others. Are you ready to start your garden? Is it time to go out and get some seed packets? Wondering what to get? I have a start-up packet of seeds for you. 2) Leave a comment in addition to following and you get a second entry. 3) Share on your blog or facebook and that will count as a third entry. If you already follow the blog, let me know by leaving a comment and it will count as 2 entries (one for following and a second for commenting)! NB: A comment without a follow won’t count as an entry. I will announce a winner late the evening of Friday 21st March. Look back here then! Open only to continental US addresses. It is that time of the year again – autumn, fall colors, cooler weather, pumpkins, spice, warm drinks and Craft Bazaars! 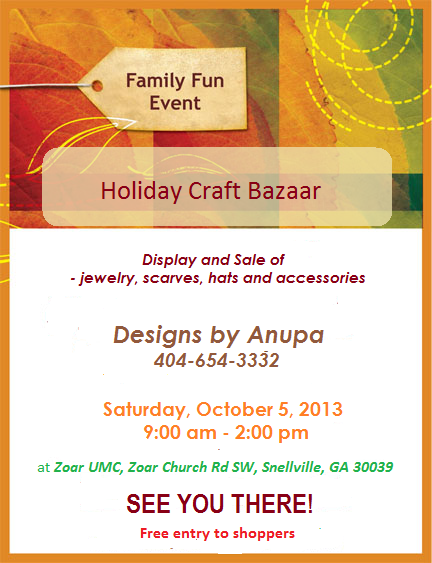 Time for my first Fall 2013 Bazaar coming up this weekend at Zoar UMC in Snellville, GA. Have many new things for this year – crocheted baby hats, crocheted beanies for teens and adults, crocheted scarves and cowls, crocheted embellishments for all of the above, hair accessories, painted silk scarves and lots of jewelry. Every single piece has been slowly and lovingly hand crafted and made in a smoke and pet free environment. I hope if you are in the area you will stop by, shop my booth and the many others who are there and get some of your holiday shopping done – family, friends, co-workers, teachers et al. Something to please everyone at this show. The venue will have a silent auction, door prizes, a bake sale, a BBQ lunch and a KidsZone for your kids to give you a chance to shop for them! Peel and cut into 2″ lengths and about as thin as a pencil or so, one or more of carrots, radish, turnip and cauliflower to total 500 gms. Keep cauliflower separate from other vegs. Bring to boil about 500 mls of water with a tsp of turmeric and 2 tsps of salt. Add the sticks of carrot, turnip and/or radish. Cook on a simmer for 2 minutes. Drain the vegs and lay on towels (or in the sun) to dry while getting the rest ready. They need to be crisp but tender. Put cauliflower, chillies, garlic and lotus stem (whichever of these you use) into the same boiling water for 2 minutes, drain and lay out to dry. Heat oil, adding more if you prefer. Add the coarsely ground mustard when hot, stir to mix and toss in all the vegetables. Cook a minute or so while stirring often. Add the jaggery, salt, chilli powder, asafoetida and fenugreek. Stir for a few minutes until most of the liquid has evaporated. Let cool in the cooking utensil. Pour into clean jars, let cool completely, and refrigerate. I assume it will last for 2-4 weeks. If it doesn’t, then next time, I will double the oil and add a bit more salt to it. Somehow, the one purchased from the restaurant was red in gravy. Mine has more of a brownish tint to it, which makes me wonder if they add anything to enhance the color! So, summer is here. The beach, the park, the water park, the pool, outdoor games, gardening etc. What do these all have in common? Okay, now what comes with the sun? All those warm rays that many like to soak up, and some of us don’t but have to anyway! What is in those rays? UVA and UVB (ultraviolet rays, those pesky skin cancer causing rays that are a part of the Electro Magnetic Spectrum which provides us with other useful “stuff” like visible light, radio waves, microwaves, X-rays etc.). So, to reduce the chances of getting skin cancer and ending up with wrinkly, leathery skin, we slather on oodles of sunscreen. What’s wrong with sunscreen you ask? Well, depending on the type of sunscreen you use, looks like the chances of reducing cancer is not really real. Bigger is not always better – at least not when it relates to SPF numbers! Here are some brands that have a lower level of toxicity – Badger has 13 products, All Terrain has 6 products, Coppertone has 4 products, Aubrey Organics and Nature’s Gate have 3 products each and Burt’s Bees and Jason Naturals have 1 product each. I stopped off at my large national chain grocery store today, and found exactly 1 product that fit the description (but, I will admit that I randomly picked up only about 15 items). The Environmental Working Group (I am leery of the ulterior motives of sites strongly for or against something especially when they are labelled environmental, but still decided to use them as they have been quoted everywhere; I’d like to think there was some grain of truth to it) has done product reviews for the last seven or so years and every year they come up with recommendations. Before you head out on that beach vacation, at least take a quick peek at their site and find some relatively less toxic sunscreens. Enjoy your summer vacation, use a decent sunscreen, wear UPF clothing (similar to SPF but it’s the moniker for clothes) if possible to the beach, cover up with a hat, get that Vitamin D your body so needs and have a wonderful time! NB: I get no kickback from anyone for mentioning their sites or products. Opinions stated are my own based on what have found online. Don't miss out on posts when they are updated...sign up and get an e-mail. I don't post often enough to worry about being innundated. When did it get posted?